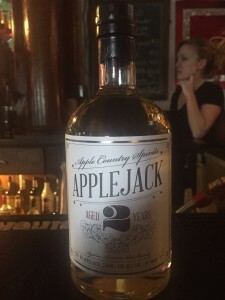 Notes: Unlike many ( OK most) of the small and/or craft distilleries that have sprung up in recent memory Apple Country Spirits definitely fits the profile of what a Farm Distillery should be. While there are a good number of distilleries now in New York State (over 60 active ones) and many use the New York product rules and exemptions which specify they use over 80% of New York sourced products to make their distillates, there are many fewer that would qualify as true farm distilleries in the truest sense of the word in my mind – using products on their own family held land just outside the doors of the distillery. Apple Country Distilling is part of the fourth generation owned Defisher Fruit Farms in Williamson, New York. Comprising about 750 acres of land, the family farm produces cherries, apricots, peaches, pears, pluats, and raspberries. 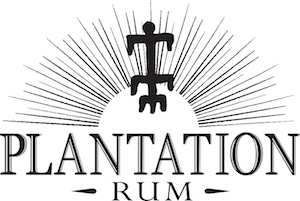 While many of these fruits are sold wholesale, they decided to start a distillery using their fruit to make distilled products.When asked why he would drop a boatload of money on distilling equipment, tasting room, new building and hiring on a master distiller, He was enthusiastic and had a number of thoughtful answers to this question. First and foremost was that he wanted to be sure they did all we could to keep the family farming operation profitable and viable for the next generation an add on or amplification of this was create a new value added product made from the fruit that they already grow to further the goal of keeping the family farm going and diversify their products. The second part of the answer was a bit more visionary and ambitious “To create a “legacy” for our area of NY. To start a new tradition of Upstate being known as the home of the highest quality fruit distilled spirits in the country “. 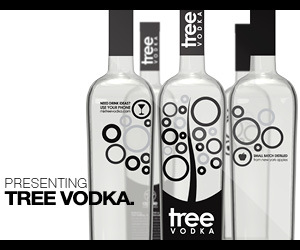 The product that anyone in the distilling business makes is almost inevitably of course vodka – but at least his first one Tree Vodka , was not a grain vodka, but a mix of their own apples and water to make a vodka that actually tastes like something with a distinctive smell and taste. It also has the distinction of being gluten free and as such has a government certified and approved labeling stating it is naturally gluten free. This their 100% apple Applejack aged 2 years in oak barrels, comes from trees on their property, and the entire process of harvesting, fermentation, distillation, bottling, etc., is done on site. In this case, like their other eau de vies, brandies and applejacks, this brandy is distilled in their 250 gallon vendome copper pot still and taken off at a lower proof to preserve taste and character. Other products include a Cherry Brandy, a Pear Brandy, a Plum Brandy, Peach Infused and Raspberry Infused (not just flavored like far too many) versions of Tree Vodka, , an unaged Applejack, and a Overproof Applejack along with their Rootstock Hard Cider series. Appearance: Clear, splice appearance, with a nice natural thickness or slight oiliness to the spirit,which is light golden wheat/sap/amber in hue. First Impression: Complex yet unmistakeable apple bouquet reflecting a number of apple varieties, each lending its own nuance to the overall bouquet, with hints of oak, leather, vanilla, cinnamon, marzipan and slight spiciness from both the apples and their marriage to the oak.The higher ester notes are reminiscent of a champagne type yeast perhaps used in the initial fermentation? Taste: Medium weight mouthfeel with a oily entry that is very slightly sweet rapidly followed with apples, toffee, vanilla, oak, leather and slight marzipan notes.Finish is nicely lingering with a pleasant heat and apple fade. Delicious, smooth and well done. This is changing somewhat with the revival of applejack and more brands becoming available. One of the enduring classics is a Jack Rose ( but please use a decent grenadine – or make your own, either by boiling down pomegranate juice or diluting a good pomegranate molasses – don’t use the fake red stuff!) and this the aged version adds many layers of complexity over an unaged product but still has the bracing taste of applejack. Another good cocktail is the RAF Cocktailagain the added complexity of wood aging benefits the cocktail. I highly encourage you to google Applejack cocktails and get mixing ! Bottle: Heavy clear bell or apothecary shaped bottle with heavy decanter bottom. Simple graphics on a off white colored paper label With a variety of fonts and decorative elements and a large “2” picked out in silver and a black topped synthetic cork with a nicely ridged top make it easy to open. Overall a nicely done if not overly distinctive package. Attractive and understated and relatively easy to spot especially among competing applejack brands. Final Thoughts: One of the few aged applejacks out there and one of the better ones of already limited selection.